Home / Unlabelled / 2019 ELECTIONS: ANAMBRA IS BEACON OF PEACE . 2019 ELECTIONS: ANAMBRA IS BEACON OF PEACE . Violence and various types of malpractices have always been an organic part of elections in Nigeria. According to Nigeria Watch, a website which monitors violence in Nigeria, 3891 persons were killed in electoral violence during just two general elections conducted between June 2006 and May 2014. In 2011, violence claimed 800 lives over three days in Northern Nigeria and displaced 65,000 people, some temporarily and a significant number permanently. It was the most violent election in Nigeria’s history. Although the number of casualties in the South East during the 2007 general election was much less than the rest of the country, in the same period Anambra State ranked second highest in the region.This reflects the recent history of politically motivated violence in the state. In the 15 years from the start of the 4th republic, Anambra was so synonymous with violence that it was dubbed the ‘Wild West of the East’. To put this into context, while other states have had an average of 3 governors since 1999, Anambra has had five elected governors. Chinwoke Mbadinuju (1999-2003) Chris Ngige (2003-2006), Peter Obi (2006-2007, 2007-2014), Andy Uba (April 14, 2007, to June 14 of the same year), Willie Obiano (2014 - ) and only the 2014 and 2017 elections were violence free. The state also earned infamy for the abduction of a serving governor reportedly orchestrated by the aide to the then President. This development led to the late literary icon, Chinua Achebe, rejecting a national award in protest against the Federal government’s role in the chaos that had enveloped the state. The Nolloywood veteran, Pete Edochie, and theproprietor of GUO Motors, Chief G.U. Okeke, were among the top guns kidnapped who regained their freedom. Former deputy governor Chudi Nwike, a physician, died in 2013 at the hands of kidnappers operating in Edo and Delta states. 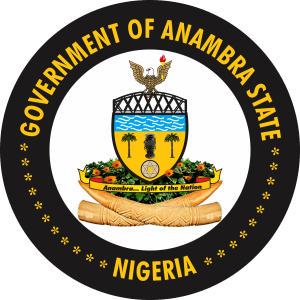 But Anambra has since distanced itself from this notorious reputation. The political culture of the state has transformed to the point that Anambra state is now regarded as an oasis of peace and fast-track development in the South East. The current governor, Willie Obiano, has worked hard to turn around the situation. Obiano has since been working very hard to rebrand the state. This was very clear from an interview he granted newsmen in the state at the turn of the year. In that interview, the banker-turned politician warned political parties and candidates in the state against stirring up violence during the forthcoming elections. He cautioned that parties and candidates who dared to foment violence will be resoundingly rejected by the electorate in the state. “Anambra State has gone far beyond the stage of violent politics and any person or group that attempts to bring back violence into the electioneering campaign or the body politic will be rejected outright by Ndi Anambra. Obiano recalled that Ndi Anambra had voted as one against political violence during the state’s gubernatorial polls in November 2017. “Ndi Anambra rose as one person against one or two candidates in the November 17 gubernatorial election who tried to introduce thuggery and violence in the campaign and they were consequently defeated right in their wards.Our people desire messages of hope and optimism rather than threats of destructions. Ndi Anambra truly abhor violent conduct by the political class”, he said. The governor’s position is backed by recent history. Even though elections in Anambra had never been conducted completely free of violence, the last one which returned Obiano was hailed nationally as largely free and transparent. It is no wonder that Anambra has come to embody the hopes of many Nigerians for violence free and well conducted elections. This is very significant because political stability and economic growth in Nigeria are so closely knitted. It is no surprise that the period of peace and stability in Anambra has coincided with the uptick in economic growth. According to Kingmakers, a statistics website, Anambra ranks in the top half of the table on all key development sectors, standing out in education, poverty reduction, health and economic growth. And, as Obiano said, these major improvements were achieved in the last 5 years. The turnaround in Anambra’s fortune did not happen by magic. At an event that held in Lagos state a few years into his first tenure, Obiano explained how Anambra escaped its infamous past. “When I assumed office with my Team on March 17, 2014… we met a state that was heavily traumatized by armed robbery, kidnapping, child-trafficking and growing cases of drug-related crimes. “I came prepared. This crime-ridden scenario discouraged investments and successfully cut off the state from the grid of modern development. My team and I inherited a state with an average ambition but through strategic re-focusing and a commitment to excellence, we have repositioned Anambra among Nigeria’s leading states today! “I assumed office with a clearly defined vision and mission. I said that my vision is to make Anambra State the first choice investment destination and a hub for industrialization and commercial activities. Similarly, I also declared that my mission is to make Anambra State a socially stable, business-friendly environment that would attract both indigenes and foreigners to seek wealth-creating opportunities”. From all indications, Anambra has largely achieved these ambitious objectives. The state is a safe, attractive haven for investors. According to Nigerian Bureau of Statistics, Anambra State has steadily attracted foreign direct investment in recent years, putting it in the group of states including Abuja, which are more attractive to foreign investors in Nigeria. Under Obiano, Anambra State has attracted a whooping $7.1billion in various categories of investment, at a time when overall FDI in Nigeria dropped to record lows. This has of course had a positive impact on job creation, infrastructure, and reduced the triggers for insecurity. It is to Obiano’s credit that these have been achieved. Onyekwelu, a trained historian, is a lawyer in Nnewi, Anambra State.